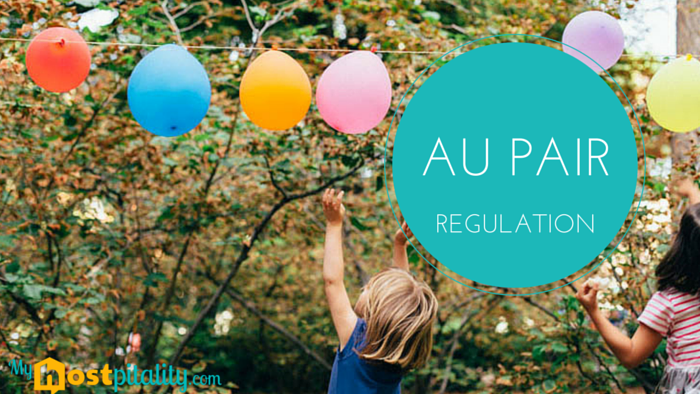 REGULATION FOR WORKING AS "AU PAIR"
WHAT DO YOU MUST KNOW BEFORE GOING ABROAD TO BE AN AU PAIR? As we mentioned in our post on Tuesday, sure many of you are thinking to work abroad this summer as an “au pair”, in order to learn or improve a language, to interact with people from other cultures, to see how is to live without parents or to know a world beyond your “comfort place”. However, when you go to work abroad as “au pair” you have to know the rules surrounding this “occupation” or temporary profession in order not to suffer the same situation of labor exploitation that some days ago came out in the news. What does being “au pair” consists of? An “au pair” is a young man/woman that travels from his/her home country to another country where he/she will be host temporarily in a family, in exchange for providing certain services to them. With this experience, he/she can learn or improve a language, improve his/her professional or destination country knowledge and its culture. How long can I be au pair? Work as “au pair” cannot last forever. The period is fixed by the family, but it cannot exceed two years. How old do I have to start working as an “au pair”? Is there any age limit? An “au pair” will have to be at least 17 years to provide the services required by the family. An “au pair” can never exceed 30 years. Do I need to submit any documents, in particular, to be “au pair”? As for any other job, you need to be in possession of a medical certificate that has been issued maximum three months ago and that proves that you are in good health. And what are the rights and obligations that I have to deal with as “au pair”? Before being “au pair”, you must sign an agreement with the family that is going to host you where the rights and obligations of each party must be specified. Receive from your host family free accommodation and food. In addition, if the family has available a separate room, you are allowed to use it instead of a shared one. Have enough time to attend courses and classes that enable you to improve and practice the language, in addition to both, cultural and professional training. The host family must give you facilities in terms of working hours. At least, you must enjoy one full day off a week and, each month one of these free days must correspond with Sunday. Receive weekly a small amount of money predetermined previously called “pocket money”. The quantity and the range of money received will be determinate in the agreement. As “au pair” your obligations will be providing different services, to the family that hosts you, consistent in daily chores child-related. The daily time spent on such tasks should not exceed 5 hours per day. Being Au Pair and learn about another culture or traveling with MyHOSTpitality and immerse yourself at all levels? Once you know all the rights and obligations associated with this temporary profession, you should consider whether you want to be au pair to learn a language or simply be a guest in a native family at lower costs. Both options are valid and very good choices, as with both you can improve a language. While with the first you’ll even earn a little money for your whims by working for the family for up to 5 hours a day, with the second you will not need to work for the family that hosts you. With MyHOSTpitality and its collaborative consumption model this is possible: In exchange for that free accommodation, you will only have to talk with them your native language for a few hours a day. The time is running and summer is near to learn a new language and meet new people while you immerse into a new culture. So what you will choose? Being Au Pair or staying with MyHOSTpitality? WHAT SHOULD I KNOW BEFORE MY CHILD DO A LANGUAGE EXCHANGE IN ANOTHER COUNTRY?